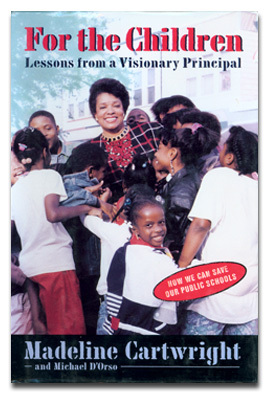 From Library Journal: Anyone who thinks that schools need not serve as social service agencies should read this story of Cartwright and her success as principal of Blaine Elementary School, located in one of Philadelphia's most debilitated and devastated inner city neighborhoods. "Schools are going to have to become surrogate homes," she says. When necessary, Cartwright scrubs the boys' lavatory herself. In one account, she convinces a teacher to report for work despite a broken leg. She is there with a devastated parent to arrange for the burial of a child shot on the streets and advises another to give her children up for adoption because it would be tantamount to "removing children from a war zone." The intensely personal narrative will either turn the reader away in shock and disbelief, or make one hope for more leaders like Cartwright. This powerful book should be required reading for politicians, sociologists, educators, and anyone interested in the future of this country; no library should be without it.